Crate training: to be or not to be? That is the question. 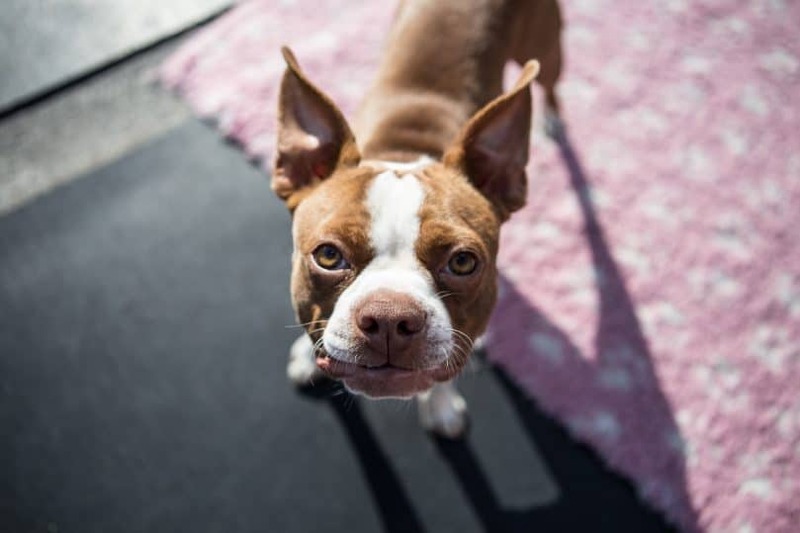 You may feel like you’re walking on a tightrope, teetering on the edge of guilt for the idea of incarcerating your dog, but still wondering about how crating can help jump start and positively influence your puppy’s obedience for life. Is it tough love? 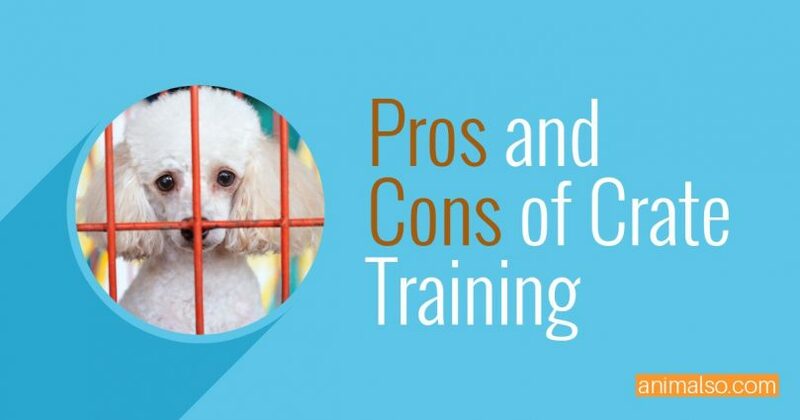 Here’s our list of crate training pros and cons to help you make the best decision for you and your pooch. Are There Any Alternatives to Crate Training? Delving into the world of crate training requires patience, time and dedication. It may seem daunting, but know that there is a light at the end of the tunnel. You’ll watch your dog’s personality and obedience blossom, making life easier for you. Here’s why! Our dogs want to be around all of the time, whether it’s with a tennis ball in their mouth, children running around in the household or they just want to stretch across your lap for a belly rub. Sometimes though, it’s not cool when they pounce all over guests, beg at the dinner table or run underfoot when you’re trying to clean. When your dog is over-excited, the crate is a great way to grab some peace while also letting your dog know that it’s time to calm down. Furthermore, when you’re out running errands and she understands it’s crate time, you’ll feel better knowing that destructive behaviors, such as chewing, won’t develop. If you’re leaving the house for some vacation time, bring the crate and your dog. The crate is like her security blanket, allowing her to feel less anxious while adapting to unfamiliar surroundings. It’s in a dog’s nature to be territorial. As a dog grows in a familiar environment, it starts to display possessive behaviors towards food, toys, and other pets. Crate training can help ease possessiveness. When an owner sticks to a daily crate training routine, the crate becomes a dog’s “den” so to speak. Your dog learns that the crate is her own personal space. It smells like her and she is the only one who spends time in there. She begins to understand that it’s where she is safe and can relax. The crate will help put a stop to those times your dog harrases the cat, growls over the food bowl or makes a mad dash out the front door to bark at neighbors. Instead of taking a pack leader mentality that lets your dog feel she calls the shots when you take her to the crate, she knows you’re the one in charge. Physical and mental stimulation is provided by you. This is the biggest crate training pro, especially for puppies that need to be properly housebroken. If you start crate training immediately, it will set up obedient behaviors for life that lets your dog know not to relieve herself indoors. Remember that “den” instinct we mentioned? Naturally, dogs do not soil where they lay. As the crate becomes your dog’s den, it becomes a space that it knows not to eliminate in. By utilizing a larger crate and taking your dog outside on a consistent basis, she becomes localized, understanding where it’s appropriate to go potty. This also helps prevent accidents at night or when your dog is left alone. You really need to be dedicated, because essentially, you are training your dog every day for the rest of her life. Focus on the end results, and know that the time and energy you put in will benefit both of you. Whether you have a puppy or even an adult dog, it’s never too late to introduce the almighty crate. Avoid leaving your dog inside for long time periods. Refrain from associating the crate with punishment. Take care when choosing a crate size. You heard it here: Crate training isn’t all peaches and cream. If not executed correctly, this type of training can have negative effects that are both dangerous to your dog’s physical well being and detrimental to her behavior. This con stems specifically from being left inside a crate for too long. A lengthy confinement throughout the day leads to desperate behaviors, such as defecating inside the crate and stress on the limbs from being unable to move around adequately. Some dogs will even develop stress sores of the skin caused by constantly licking out of anxiety and boredom. With their small bladders, puppies under three months old need less than three hours inside a crate per day. Be patient when introducing crate training and make sure to do your research when deciding on the best techniques to incorporate into your dog’s schedule. Ask yourself if crate training is the right option for her to excel. Not all dogs are created the same. Some are more prone to personality traits such as anxiety, separation issues or claustrophobia. For example, if your dog is a rescue that has spent ample time locked up, whether it was in dire conditions with an abusive owner or in a shelter, trauma can be associated with cages. This can cause agitation, which crate training may not be able to overcome. A crate is a safe space for your dog, but if care and consideration is not given then it can also be dangerous for her overall well being. 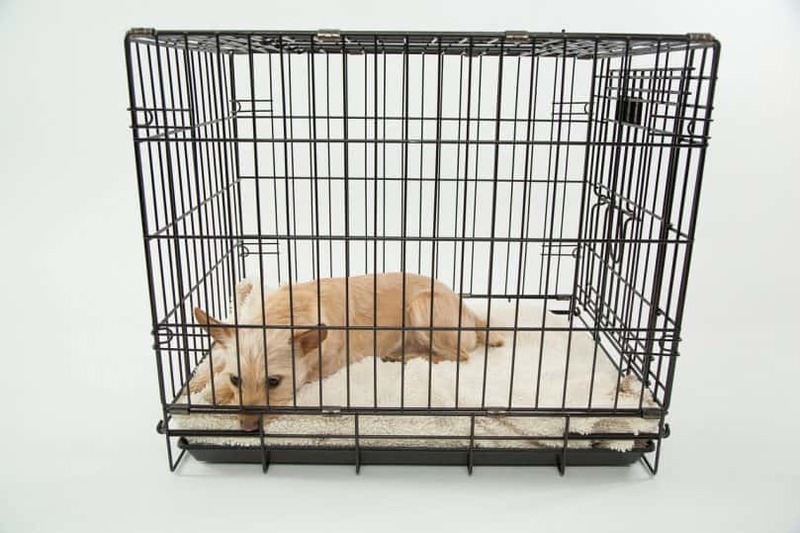 It’s important to place your crate in an area of your home that receives plenty of ventilation to alleviate breathing and avoid overheating scares. Also, be aware of your dog’s behavior. Is she hyper or prone to run away? Puppy-proof sharp edges of the crate to avoid injury in case of escape and NEVER crate your dog while wearing a collar or leash. This can cause strangulation. Baby gates: This technique incorporates the use of baby gates instead of a cage to keep a dog sanctioned to an open, safe space in the house. Exercise pen: Also called a “doggie playpen” this also offers an option that is spacious and more open for your dog. Fenced yard: If you’ve got a well secured, fenced in backyard, consider keeping your dog outdoors. Doggie Daycare: A pricier option, this ensures your dog has a constant human care in a safe environment made for dogs while you’re away for the day. Don’t let the idea of crate training overwhelm you. As long as you arm yourself with the facts, you can make an educated decision that renders the best training solution for you and your dog. Ask yourself: do you work long hours? Can your dog handle being confined? Do you have the time to dedicate to crate training? It’s not an easy feat to undertake, but this type of training offers many benefits that can develop good behavior and help housebreak your dog. Crate training isn’t for everyone though, and if you do work long hours or your dog gets extreme anxiety from being confined, then it may be best to consider other options. What do you think about crate training? Tell us in the comments!